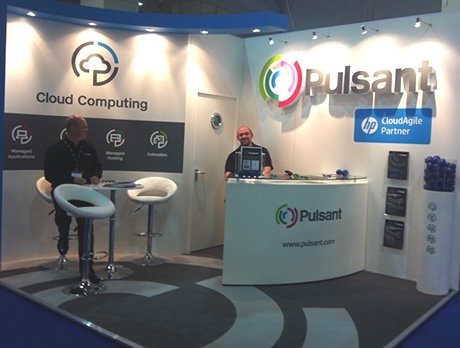 Pulsant exhibited at Cloud Computing World Forum 2012. The exhibition was held at Earls Court, London over 2 days and was the first event where Pulsant exhibited since the rebrand from Dedipower, BlueSquare Data and Lumison. The event has been a large success with last year’s being Europe’s highest attended cloud event! 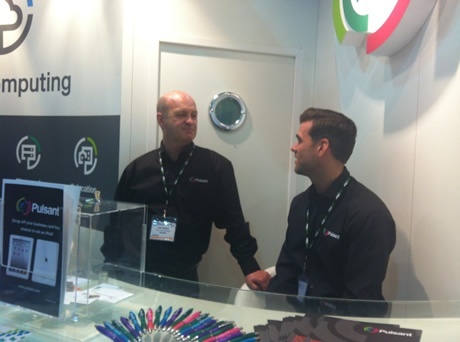 It was exciting to unveil the new stand design and brand colours to everyone there. It was great to be amongst some of the most influential IT decision makers in the industry and to have the chance to present Pulsant’s cloud offering, managed hosting and colocation services. Overall, it was a great way to show the new brand to the public and meet interesting people. Hopefully this is the first of many successful events for Pulsant!